The services we offer you... Complete from first idea to first dive! All plans and plan submission to council taken care of. Everything organised in one go! Your new pool is not only a new lifestyle choice, but also a major investment which requires a professional to orga nise everyfacet of its planning and installation. 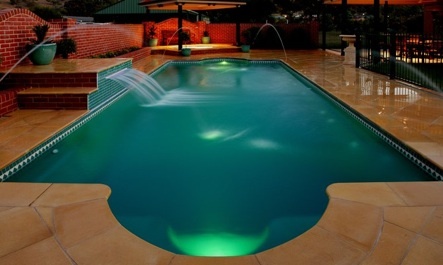 Joe at JS Pools has over 15 years experience in fibreglass pool installation and can provide you with a no fuss experience. It all starts with turning your idea into a plan and then making that plan a reality. Joe has done this for many very satisfied customers over the last 15 years. As JS Pools is a family business, Joe knows how to provide professional advice in every facet of the installation yet still cater to the individuals needs and wants. From plans to council to organising the shell you choose, to fully installing your new investment. This is including electrical, plumbing and landscaping. Joe at JS Pool can do the lot for you! And once your new pool is installed and you are enjoying all the fun it brings with it, Joe will still be there with his famous after sales care showing you how to look after and get the most from your new lifestyle choice.